Quote from above………..It is incumbent on all of us to try to (—-) struggle for an economy that is viable, ecologically as well as socially and economically..
Economy implies trade, one with another, at the singular level, as well as communal. As the function of us at that singular level must by definition imply survival (as nature forces us to do), then any economic trade must be to gain a profit in order to improve our individual chances of survival, and in particular for our offspring. We will not compromise our own genetic line in the service of a perceived “greater good”. We are not members of a hive or anthill. And no government decree or mass warfare is going to make us so. We emotionally revert to that concept of “economy” and imbue it with the shiny certainties of our present. Our economy will continue to support what we are, and what we desire our future to be. How can we be so sure about this? We need only look to history for proof: Edison, Ford, Daimler, Rockefeller, the Wright brothers, Gates and hundreds of others delivered all the “things” that brought us heat, light, health and defiance of the laws of gravity. Some of us recognize these as delusions, but we are pitifully few. The masses listen instead to the literally insane politicians who offer the certainty that prosperity is merely a matter of political will. Trump promises to remove EPA regulations, Corbyn in the UK talks about reopening coalmines. To quote again from above: we really are in a very scary place indeed. All in pursuit of employment and political control. That we are going to decline is not in doubt of course, but I think the manner of it is going to be very unpleasant. We will not submit to the communal good, because even the most basic “communes” throw up leaders. These leaders will also be ultimately self serving, (they too have no choice in the matter). This will drive resentment in those less favoured, and foment conflict. This is not mischievous cynicism, but fundamental human nature; something that “utopian downsizers” simply refuse to accept—believing instead in the innate goodness of human nature. If you want to believe that, take a look at the Trump rallies—there’s your human nature, baying for the blood of those it thinks is responsible for its current misfortunes. They are not open to discussion about CO2 emissions—they want their “good life” back, even if it means blasting the tops off mountains and burning every ounce of coal underneath them. We cannot sustain any sort of ‘economy” by taking in each others washing and opening barber shops. Thanks for the comment. The first point is correct: electricity accounts for just under 50% of the energy emissions. I’ll correct this in a revised version of the post: it doen’t greatly affect the argument but it is important to be accurate. As to the second point, this is again the issue of flows versus stocks of GHGs. I’ll amend the text to make the distinction clearer. While the claims tend to be that it is emissions that have decoupled, the key point is that concentrations haven’t – or put another way, deep, deep reduction in emissions are necessary, and these are incompatible with continued GDP growth, which is what we are both saying. Thanks again for the critique – it is as you say important to be accurate and not over-claim, or we replicate the errors of the gorwthist propagandists. I agree that pinning our hopes on decreasing emissions the necessary 10% per year or so toward zero in the context of a growing economy is futile — implausible and undesirable. The spirit of this article is brilliant. However, the post contains a number of misinterpretations and misleading statements. For me, two of these are especially egregious. 1. The numbers from the IEA are for ‘global energy-related CO2e emissions’ as is clearly stated in all their data, including this article. These emissions comprise much more than emissions from the electricity sector, as is claimed by the author of this blog post. Energy-related CO2e emissions also include combustion of fuel for heating, cooking, transport, industry, and other uses. The only emissions omitted are those from land use change, which are notoriously difficult to calculate. 2. The notion that CO2 emissions and GDP growth have decoupled cannot be refuted with time series of GDP and atmospheric CO2 concentrations. Yes, the latter comparison is important — arguably more important — than the former, but none of the cited sources claim that ppm CO2 in the atmosphere has decreased, they are only discussing emissions. What we have as degrowthers is our credibility. Without exaggeration or any cherry-picking of data, we can show just how unlikely it is that the necessary reductions in emissions can be achieved at the same time as GDP grows. 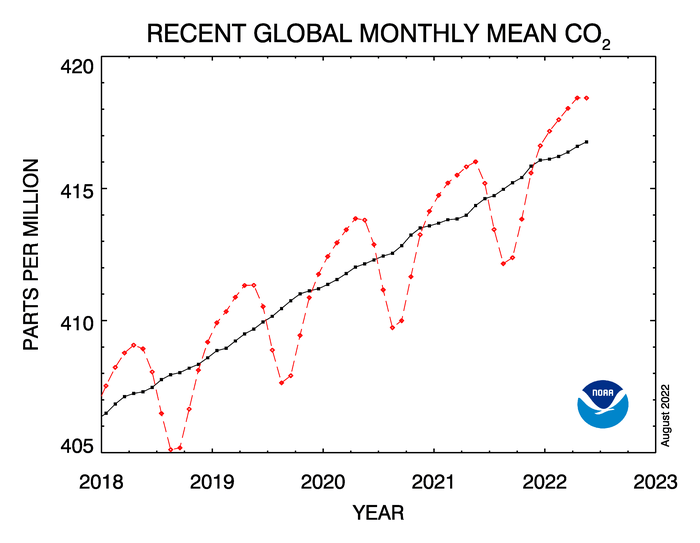 Even if emissions really are leveling off, even if they do begin to decrease at about 2% per year, the fact is that this pace of reduction is not nearly enough to save a stable climate. When combined with the evidence that economic growth is not making the rich happier or the poor richer, we have a pretty strong argument for the abandonment of economic growth as the primary goal of society. When we overstate our argument or miscategorize data, we make ourselves weaker by undermining our own credibility. Degrowth of course goes far beyond rational, liberal reasoning about the ‘best thing for society to do’ but since we CAN win that debate, we should! Yes, the IEA data might have big problems (especially with respect to numbers from China) and the exuberance for decoupling is both annoying and somewhat misguided. But I support presenting our case that economic growth and a stable climate cannot be compatible in a way that shows how the ‘radical’ concept of degrowth is in fact the only sane path!